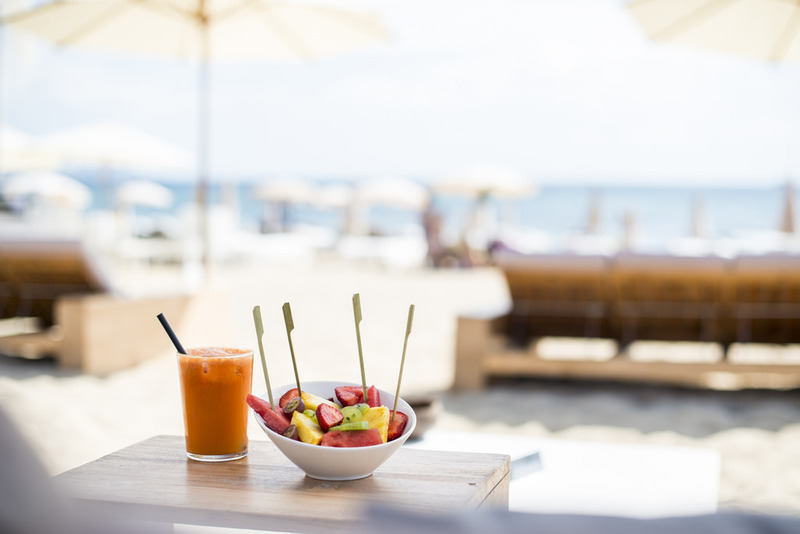 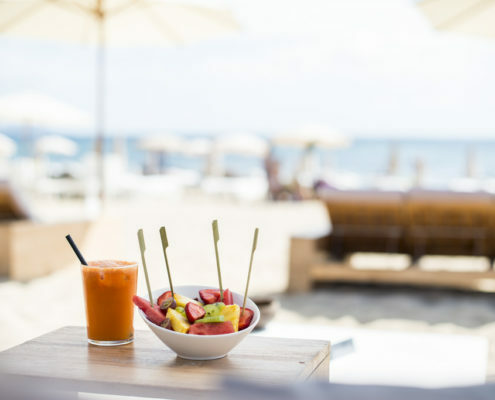 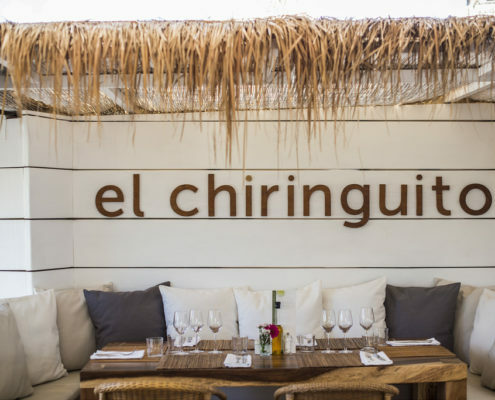 One of the best beach restaurants in Ibiza with views to Dalt Villa (Ibiza old town) to the left and Formentera to the right, Es Cavallet is one of Ibiza’s most beautiful beaches. 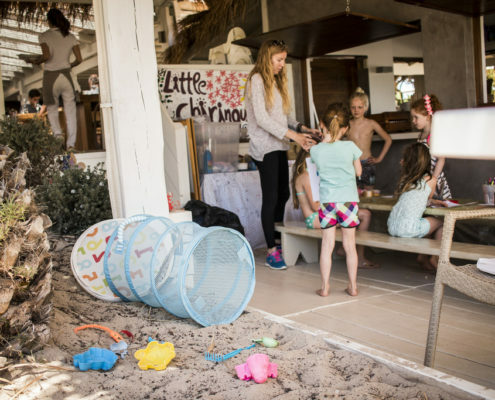 El Chiringuito welcomes families to enjoy their beautiful beach Restaurant, Little Chiringuito is a great space within the beach club behind the juice bar where your little ones can draw, paint, make bracelets, play in the sand and enjoy their time with other little people being creative allowing you some free time to enjoy your lunch, relax and appreciate the beautiful beach. 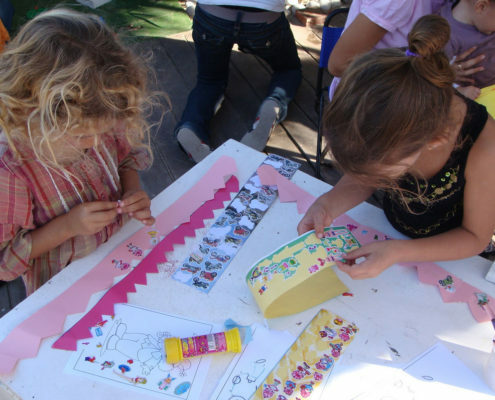 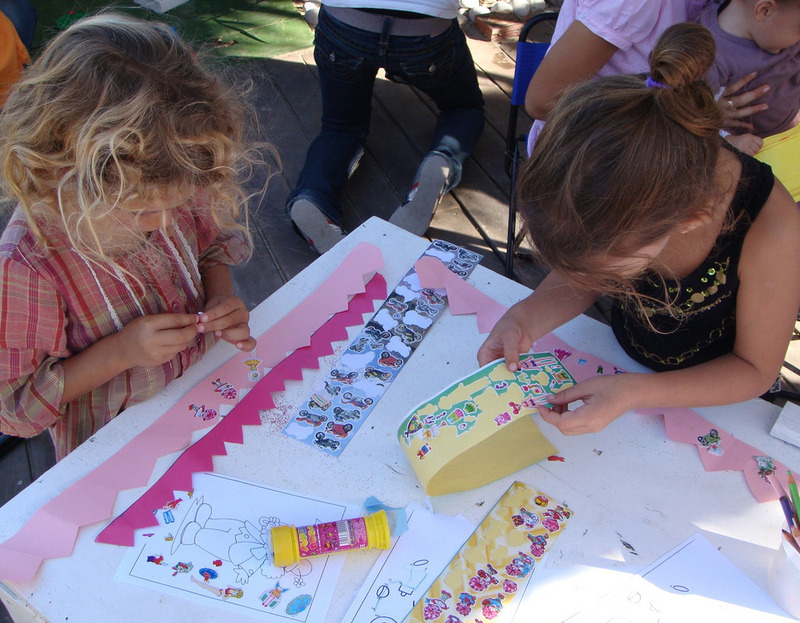 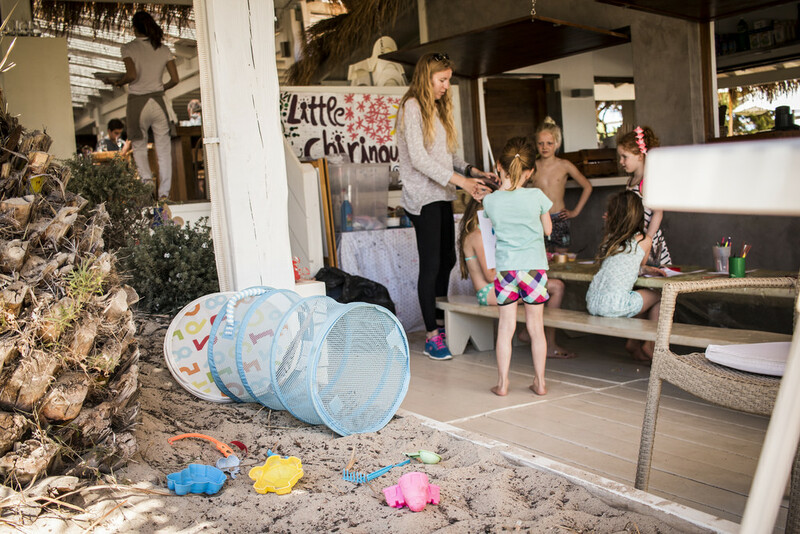 More fun for the little ones includes daily entertainment care of KidsinIbiza. 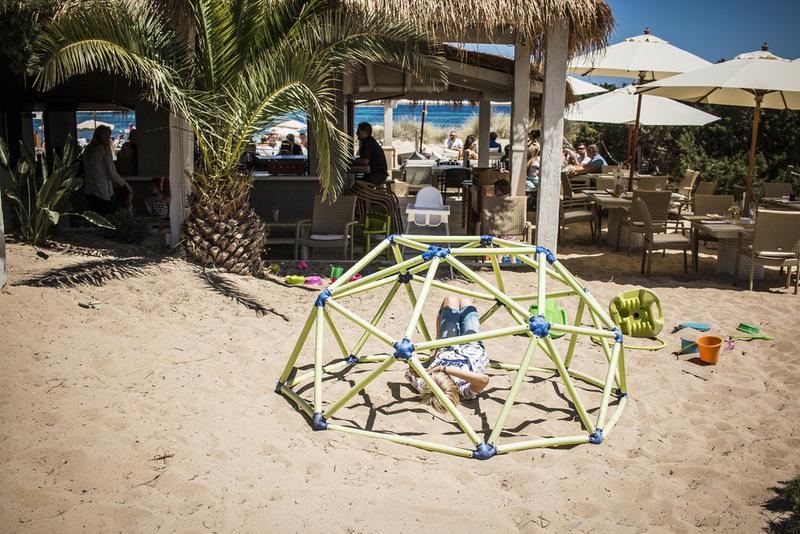 From 1-5pm every day there is entertainment with a different theme each week involving games and fun activities for children of all ages. 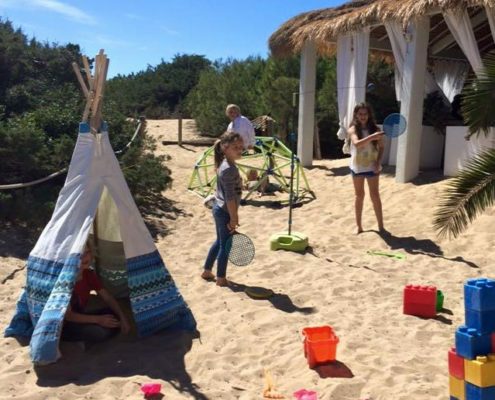 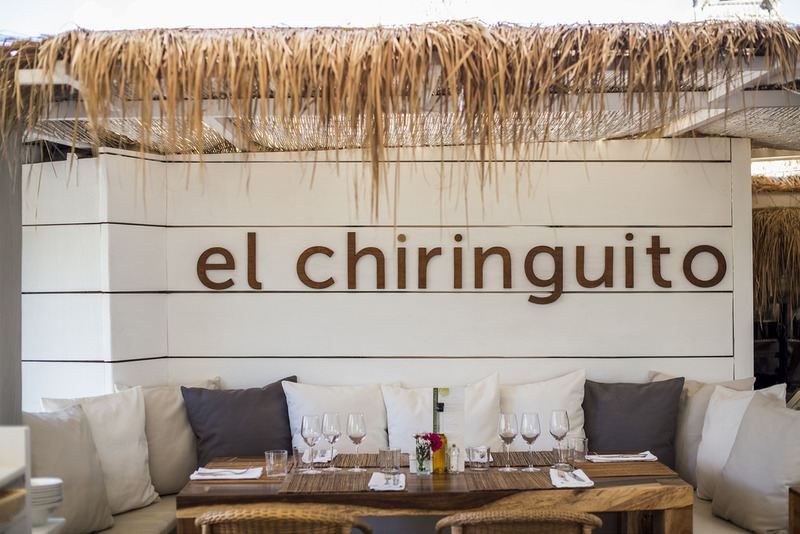 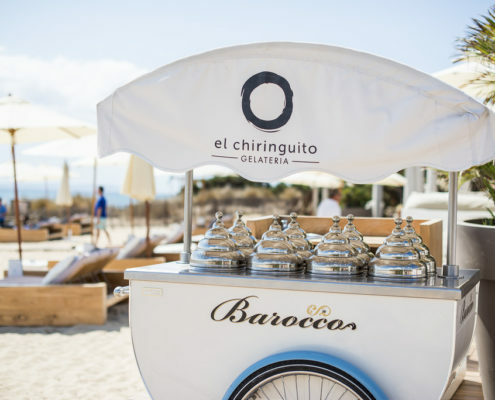 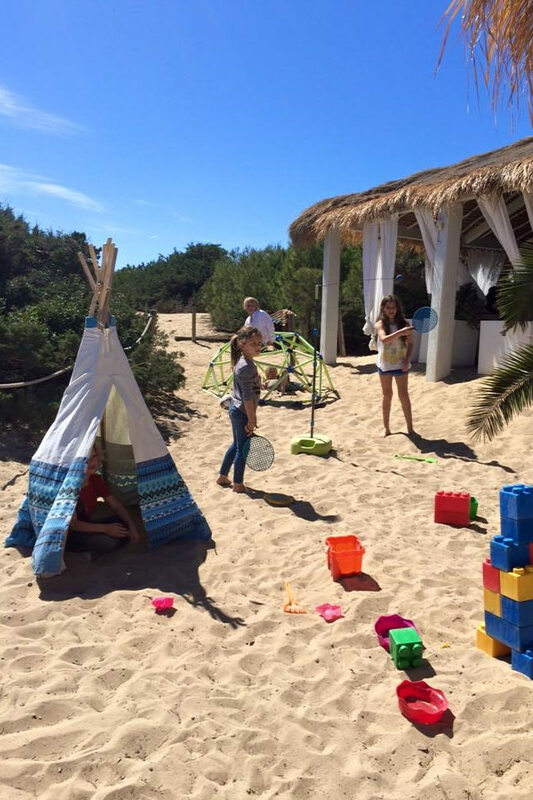 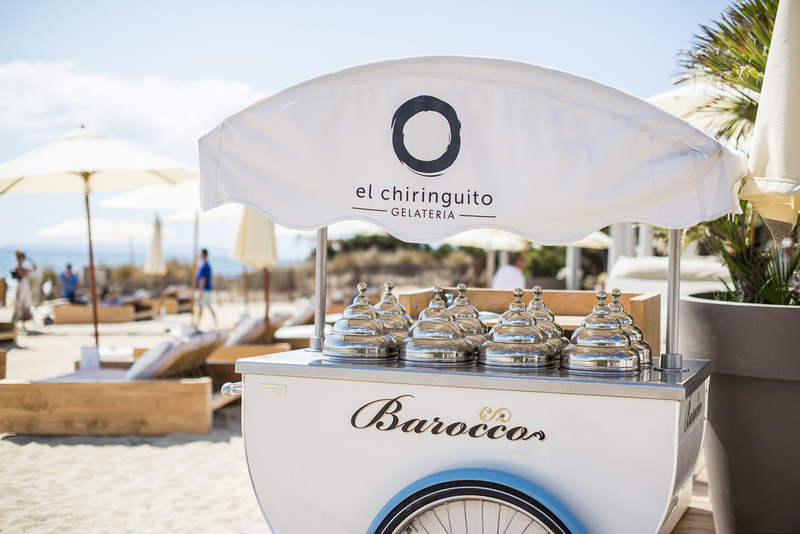 For your peace of mind Little Chiringuito is well protected from the sun and well ventilated perfect for the children on those hot sunny days. 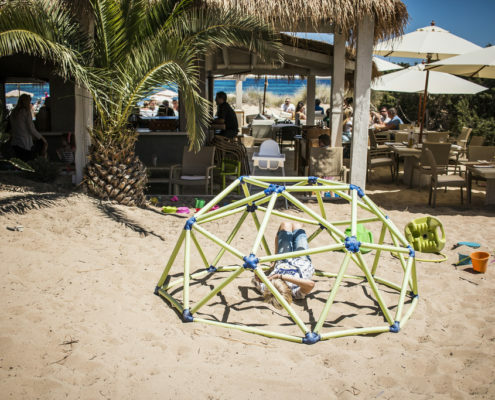 The restaurant also boasts a wonderful Kids menu which the children can colour in and the restaurant has well equipped baby changing facilities.